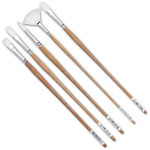 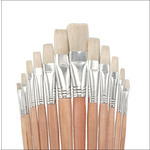 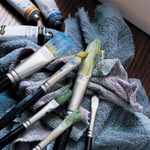 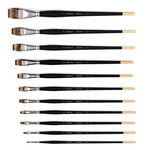 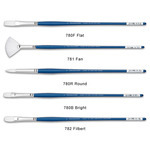 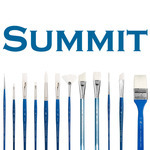 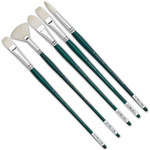 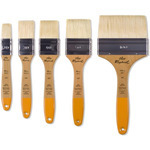 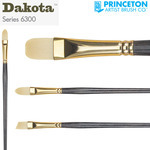 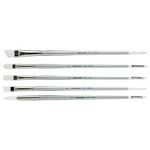 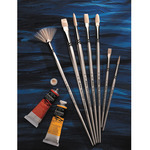 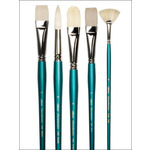 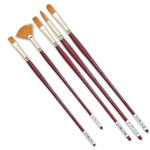 Grumbacher's Degas Oil and Acrylic Brushes are perfect for the discerning artist. 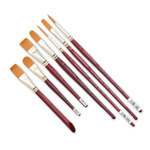 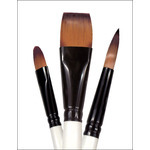 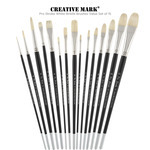 Made to professional quality, these brushes feature mixed soft filaments that provide smooth, luxurious strokes. 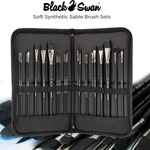 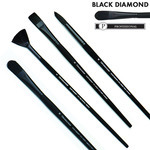 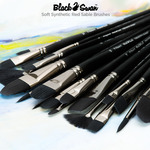 Each brush is adorned with a long handle to provide maximum control. 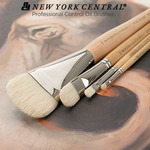 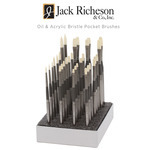 This is a superb brush for oils and acrylic work. 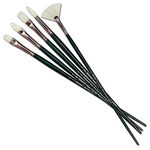 Soft bristled and sleek, this instrument excels at tasks where minimizing strokes is a must! 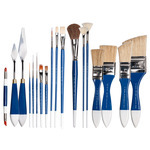 The gorgeous blue metallic finish over an all-wood shaft has incredible hand-appeal...experience it for yourself!